There’s something about the look of blue eyes that’s piercing, spellbinding even. Don’t believe us? Just take a look at Adriana Lima’s blue peepers and try to tell us otherwise. And while we happen to think baby blues are pretty spectacular all on their own, with a little makeup for blue eyes, you can make them all the more enchanting (if that’s even possible). Don’t know the correct shadow shades to make your blue eyes pop? 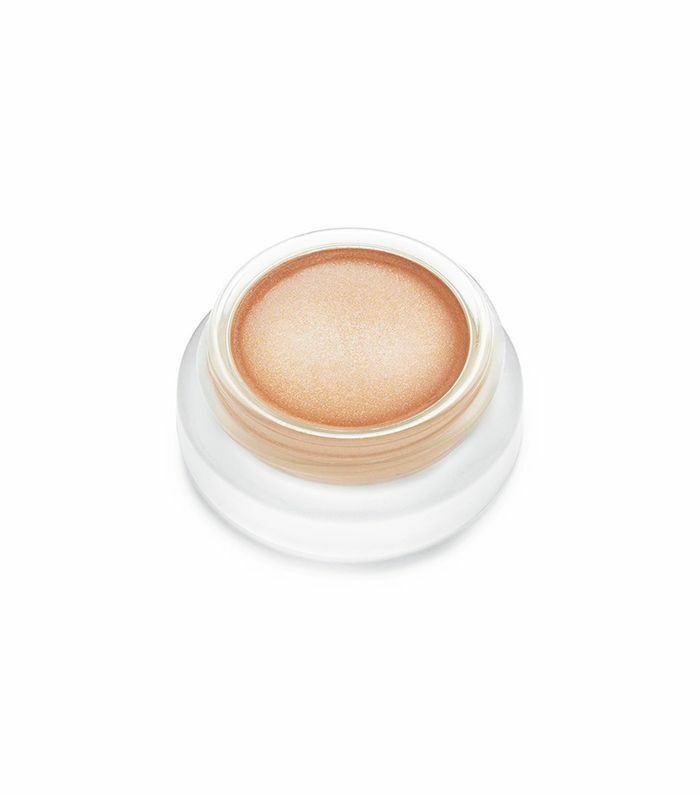 We did a little research and surveyed our blue-eyed editors for their favorite eye-enhancing shadows, as well as Honey Artist’s celebrity makeup artist Suzy Gerstein for the shadows she uses to bring out her clients’ baby blues. And lo and behold, we came up with 10 different shadow shades ranging from copper and gold to red and violet. 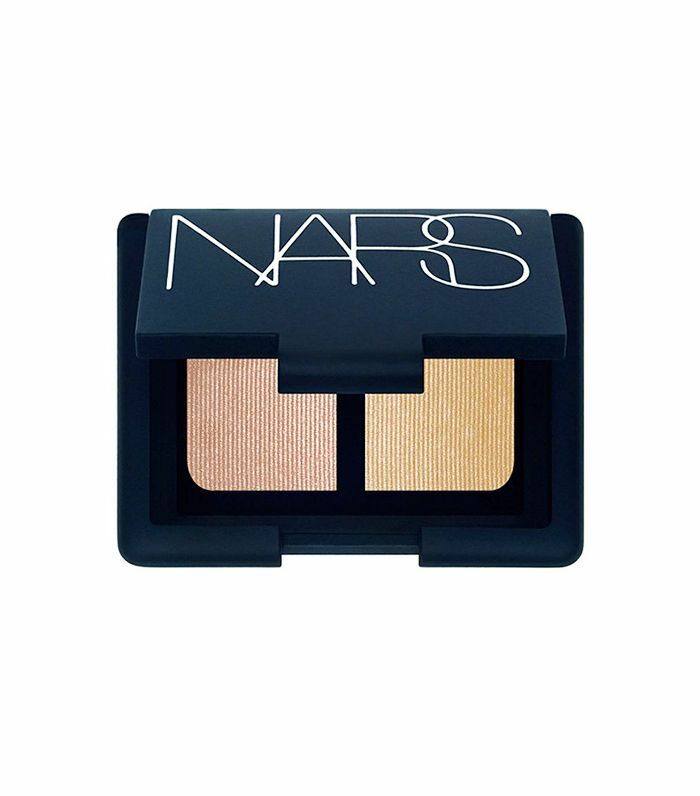 For the best eye shadows that bring out baby-blue eyes, click through the gallery below. While we love each and every shade of RMS’s eye polish, we are partial to this copper-tone shadow for blue-eyed wearers. 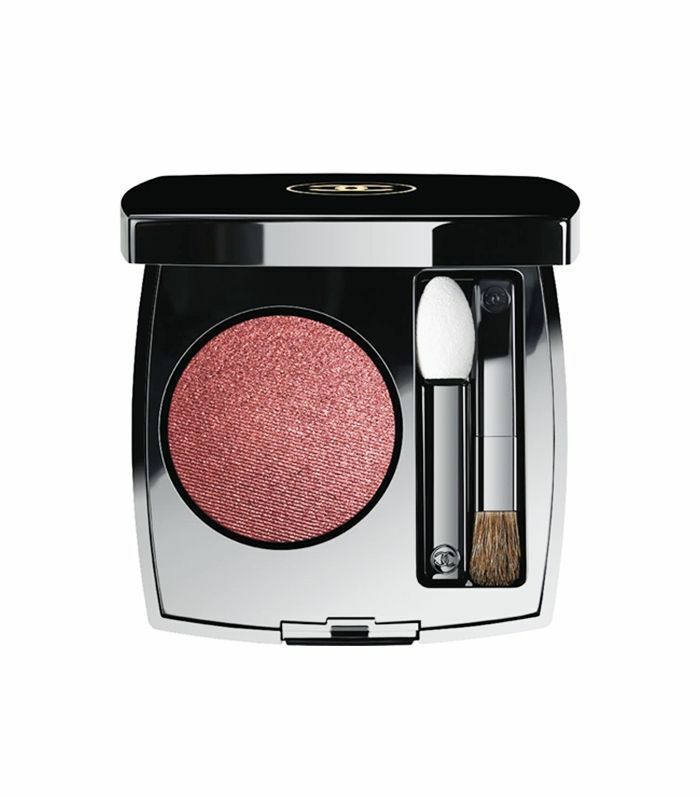 This eye shadow duo houses two of my favorite shades for blue eyes—peach and gold. While I typically wear each shade individually, on special occasions I'll combine the two for a beautiful sunset hue that really makes my eyes pop. Gerstein says to mix up your everyday eye makeup look with a kick of this warm-tone shadow that she insists will bring out bright blue hues. Not too obvious nor too subtle, this eye shadow stick in a rose-gold shade is the perfect everyday shadow for those of us with blue eyes. 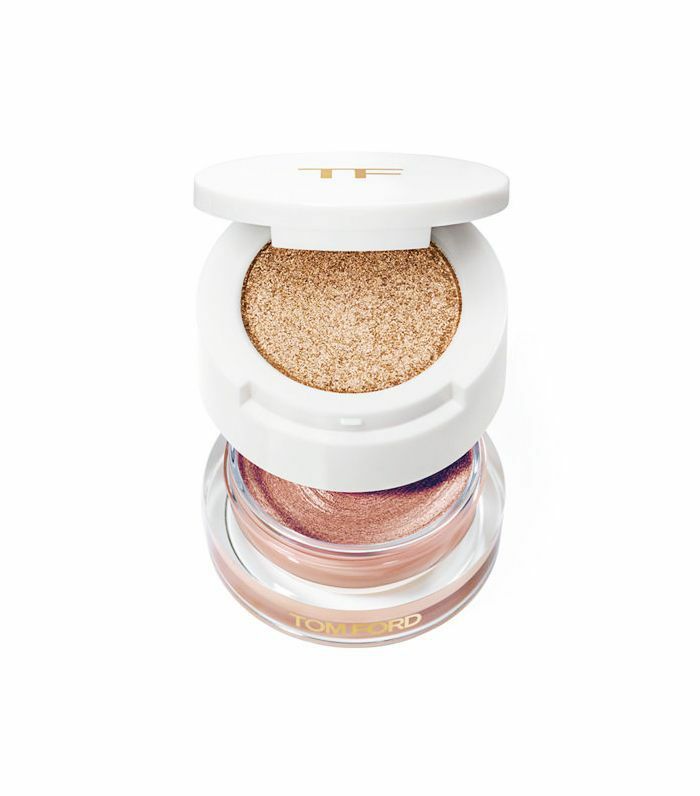 Tom Ford's combination of warm peach tones mixed with shades of gold will electrify your blue eyes so much that, Gerstein says, compliments will abound. 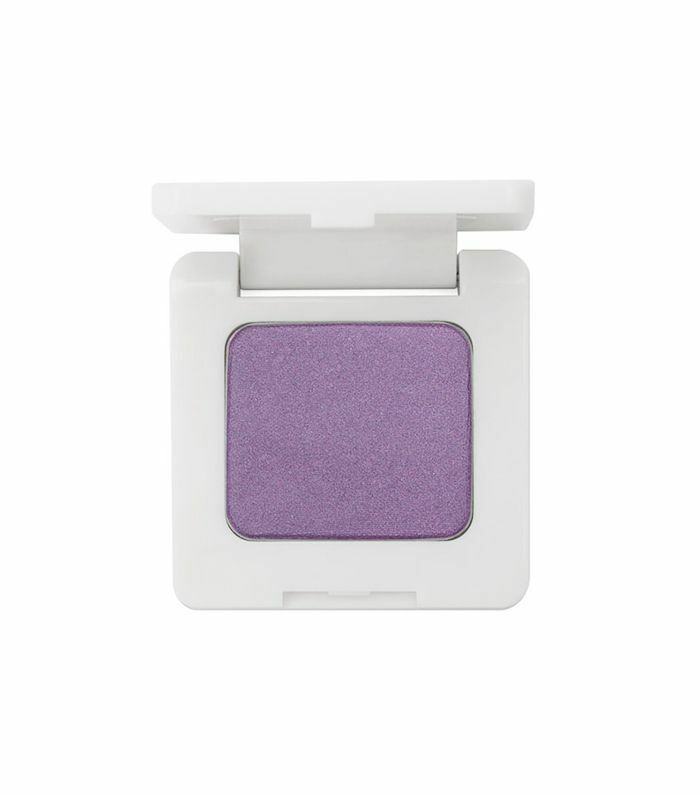 Add depth and further visual interest to your blue eyes with a violet eye shadow. Stick to light or medium shades of purple for the greatest effect. Our favorite? This powder shadow from RMS. 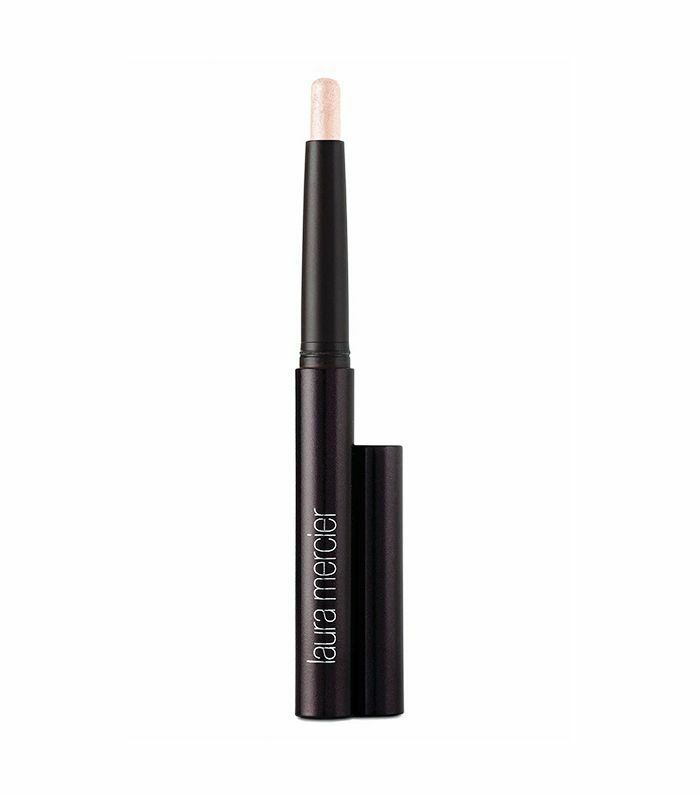 For a natural shadow that subtly brings out blue eyes, Gerstein recommends clean beauty brand Juice Beauty's shadow stick in the color Bay, a barely there gold that's perfect for everyday wear. 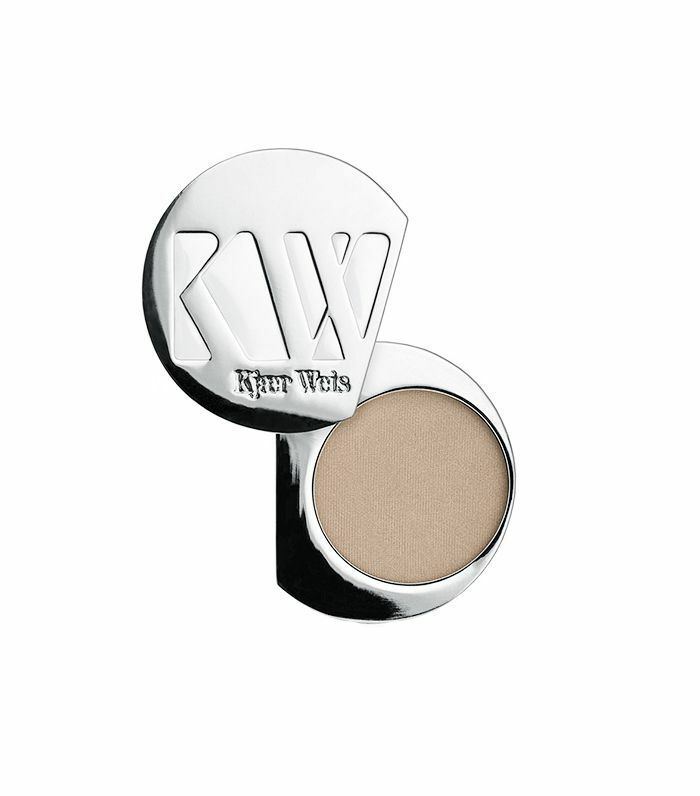 When I want to enhance my blue eyes without looking like I'm wearing makeup, I reach for this matte shadow from Kjaer Weis. 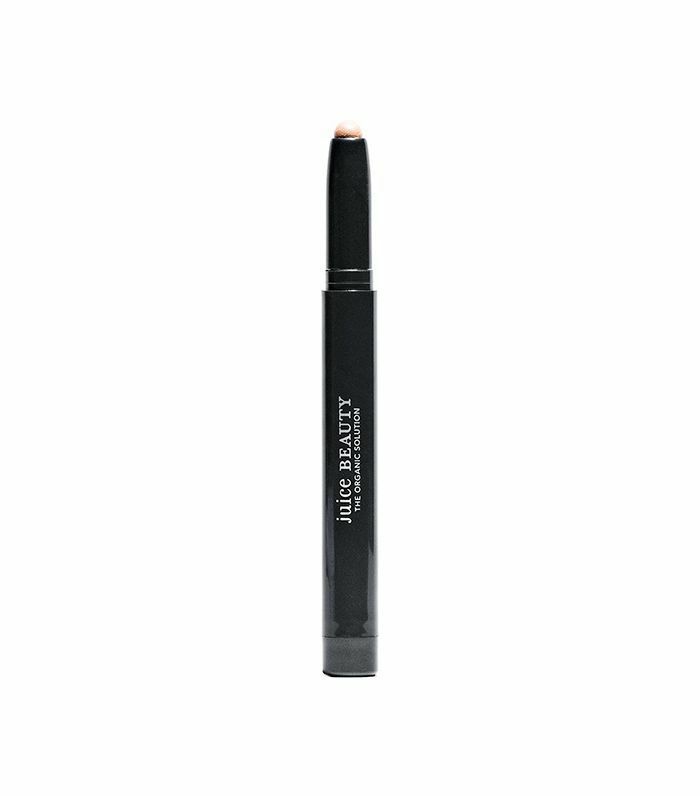 Simply add some color near your lash line, and voilà: brighter eyes without a full face of makeup. Looking to really make those blue eyes pop? 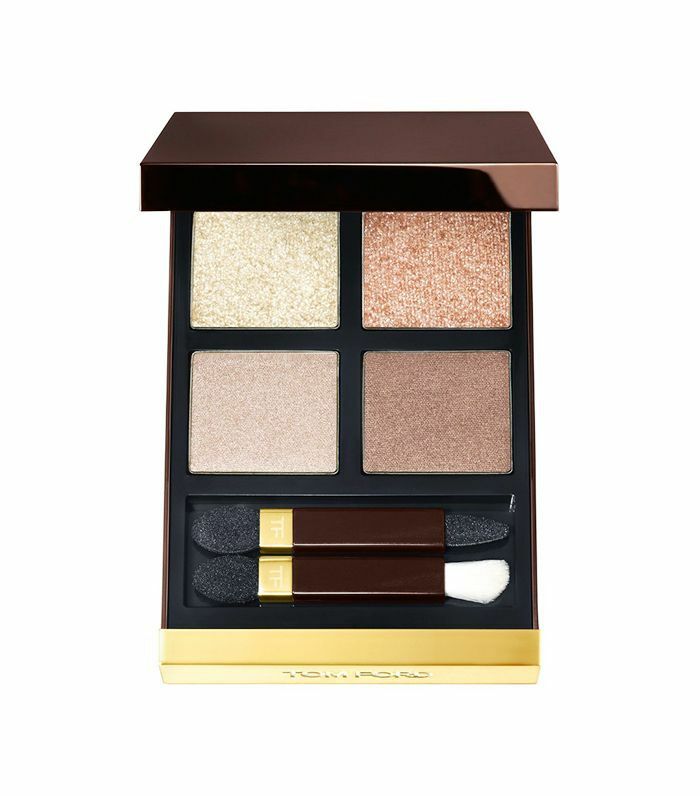 Gerstein recommends complementing your eye color with this metallic palette from Tom Ford. 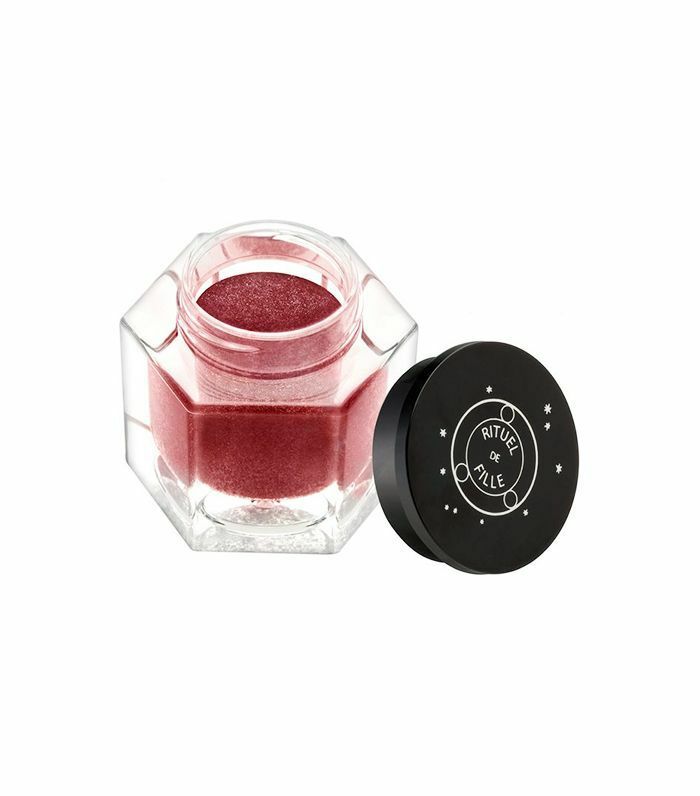 If you prefer cream shadows to powders, Gerstein recommends this scarlet shadow from Rituel de Fille. Nervous about the intense pigment? Don't be. Gerstein says the deep shade of red will only amplify your baby blues. Next up, four super-flattering makeup tutorials for blue eyes.